The Original Syn trilogy by Beth Kander will be published by Owl House Books, with the first in the series hitting shelves September 25, 2018! Stay tuned for exciting updates on this front in the months ahead, from cover art reveals to reading announcements, pre-sales, and giveaways! CORE is a week-long workshop opportunity for artists of all disciplines in which ATC awards a free week of rehearsal space and a presentation of the work to groups of artists and works in progress. CORE artists will receive space to work and present as well as basic artistic, technical and box office support. ATC is committed to creating new work for the American theater and asking questions about how we make what we make as American theater artists. Beth Kander has been selected as a CORE resident artist for 2017-2018. 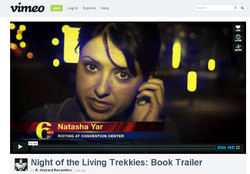 She has assembled an inspiring team of collaborators to create a docu-drama on domestic abuse. Equity Library Theatre of Chicago was pleased to announce that for the first time ever, a local Chicago playwright has been selected as winner of their annual all access play competition, which will be read by Actors Equity Association performers on November 6, 2017. Hazardous Materials is set in a single apartment in two different eras, with intersecting lives and stories that will make you laugh and break your heart. Interested AEA members can find out more about auditions here. 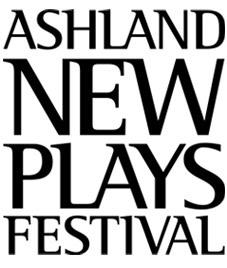 Ashland New Plays Festival: Winner 2015, 2016, Host Playwright in 2017! After winning awards from ANPF in back-to-back years for her plays "The Bottle Tree" (2015) and "Hazardous Materials" (2016), Kander is delighted to return to Ashland as Host Playwright for the festival in 2017. The Kilroys List identifies the best and most promising female and trans* playwrights' works in an attempt to change the game when it comes to gender parity in theater production. THE LIST includes the results of the second annual industry survey of excellent new plays by female and trans* playwrights. It is a tool for producers committed to ending the systemic underrepresentation of female and trans* playwrights in the American theater. In 2015 and in 2016, Beth Kander received an Honorable Mention for her play "The Bottle Tree." PS: It's easy to forget sometimes, but I like acting almost as much as I like writing. Just putting that out there.